Terrelle Pryor is finally getting his chance to shine as a No. 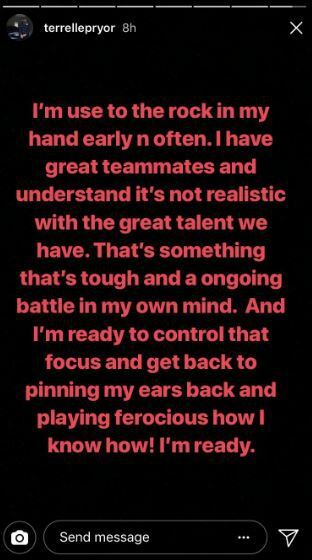 1 receiver, and let's just say its been a cloudy first month of the season for the Redskins star. 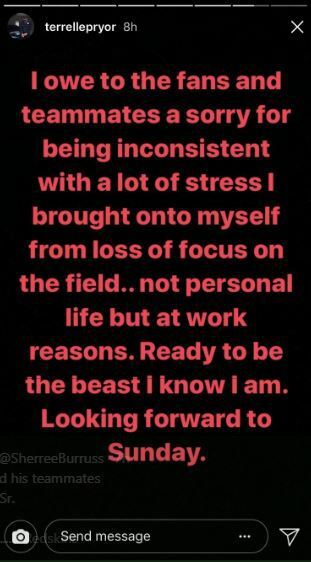 Prior, fresh off a first half benching last week, took to Instagram and apologized to teammates and fans for his inconsistency and lack of on-field focus. Pryor played one snap in the first half of Monday Night’s loss to the Eagles, and only ending up playing 30 snaps total. Redskins coach Jay Gruden said he wanted to get Josh Doctson, their first-round pick in 2016, more playing time. 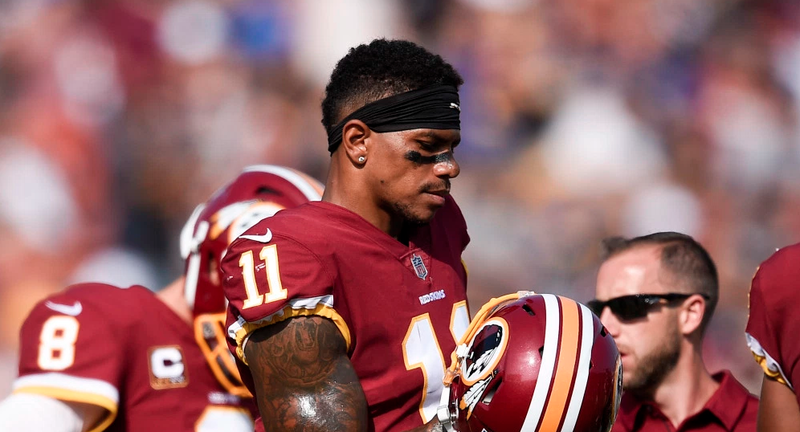 Pryor signed a one-year, $6 million deal with Washington in the offseason after finishing with 1,007 receiving yards with the Cleveland Browns last season. So far this year, Pryor has 18 receptions for 223 yards and a touchdown.